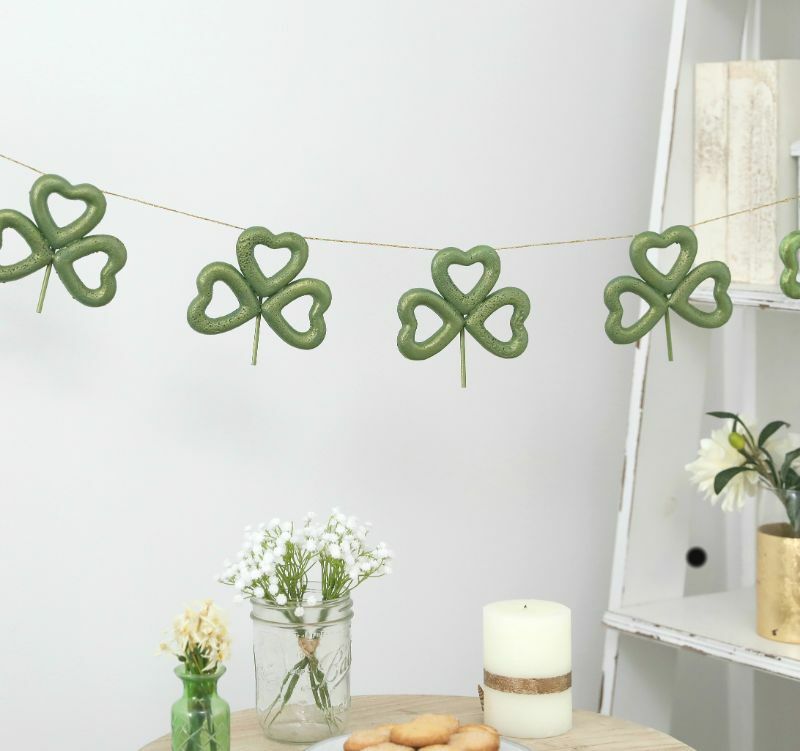 Hang the epitome of Irish symbols on the wall to celebrate St. Patrick and all things Irish while welcoming visitors to your home for a St. Paddy's Day party. You can modify the garland's length to fit anything from a doorway to a bookshelf — just add more or fewer shamrocks. If you want a little luck of the Irish, omit the shamrock "stem," and glue another heart to the original trio. For more sparkle, spray on a foam-safe adhesive and sprinkle gold glitter onto the clovers. 1. Run 1 inch of glue up the left side of one heart from the end point. Press the corresponding right side of a second heart to the glue so the points almost touch. 2. Run 1 inch of glue up the right side of the first heart from the end point. 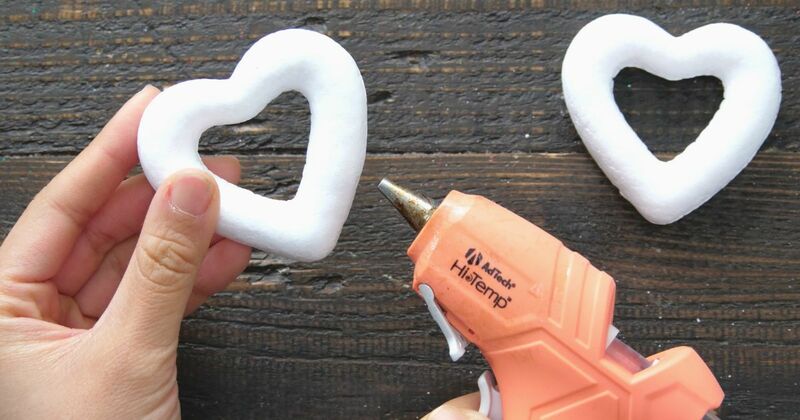 Press the corresponding left side of a third heart to the glue so the points almost touch. 3. Run a short line of glue down the center of the shamrock. Press the dowel vertically into place. 4. Put paint in a small bowl. Paint the front and sides of the shamrock and dowel. Let the paint dry. Flip the shamrock, and paint the rest of it and the dowel. Let the paint dry. 5. Run a line of glue across the top center of the top heart, going parallel to the heart's inside arches. Press the cord into the glue, leaving 4 inches extra to the left. 6. Place a second shamrock 6 inches to the right of the first one. Run a line of glue across the top center of the top heart, going parallel to the heart's inside arches. Press the cord into the glue. 7. Continue gluing the cord to the shamrocks. When you reach the end, trim off the cord 4 inches from the last shamrock. 8. Hang the garland with removable adhesive to enhance a festive atmosphere.